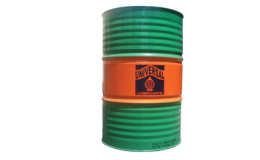 ZINOL SUPER MARINE OIL 4015, is a line of trunk piston engine oil designed for use in medium speed diesel engines operating on distillate fuels. The modern additive technology used in this oil provides superior engine cleanliness & protection. These oils exhibit a high degree of water tolerance and meet the performance requirements of API CF.